Head for the Hills in Harrogate! Since the very first day we placed helmets on our visitors’ heads and sent them out into the hills of Harrogate for a day to remember, we’ve never looked back; making our quad biking sessions bumpier, safer and muddier than ever before, purely for the enjoyment and excitement of our customers. 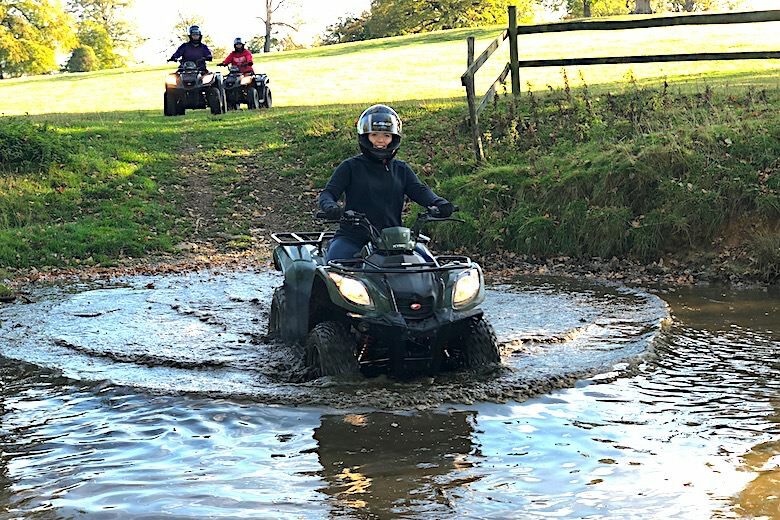 We don’t believe that true quad biking is about figure of eights in a field time and time again, and guarantee that all of our sessions will see you exploring new tracks and terrain for the full duration of your experience. 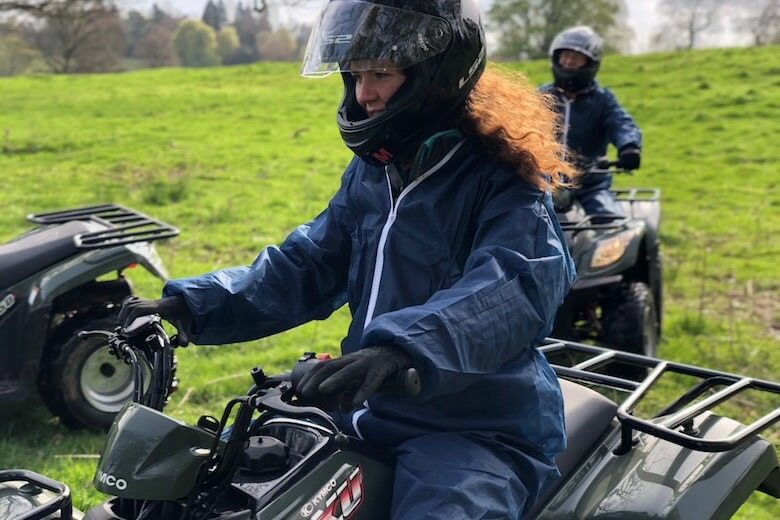 After a full safety briefing from our highly qualified instructors, you’ll be given the chance to get familiar with your new quad bike before taking off to experience the spectacular scenery. You’ll explore tracks and terrain like never before around the unrivalled routes of the Ripley Castle Estate. Expect the best bikes, fresh adventures, big challenges, steep hills and muddy waters. Watch out for Wild Deer, too! 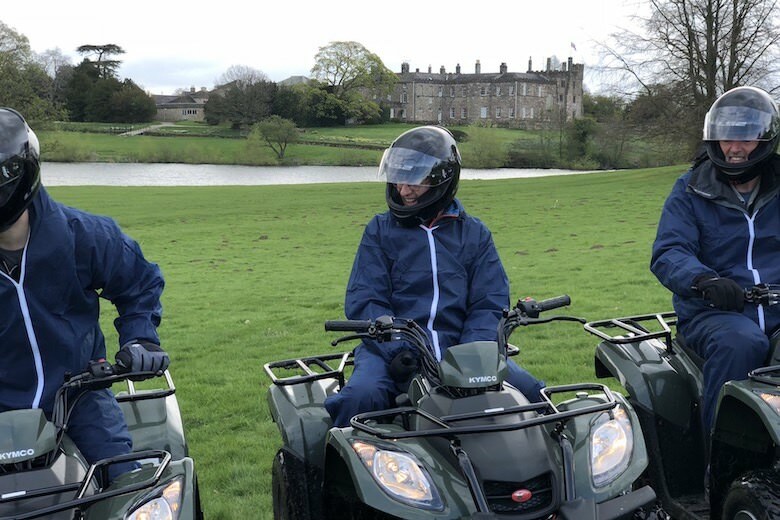 Located at the stunning Ripley Castle Estate, our cross country track and terrain will really put your quad biking skills to the test. Our standard session gives you 30 minutes of pure quad bike time to explore the breath-taking sights and delights of the Ripley Castle Estate. Going at your own pace, your adventure will offer you steep hills and fast straights, tight turns and amazing views of the Ripley Estate. Are you extra adventurous and want to upgrade your quad biking experience with us? Then the upgraded session will really put your quad biking skills - and stamina - to the test. For only £10 more per person, experience everything from our standard quad biking package – but for longer! 50% more time on the quad bike, 50% more time on the terrain. 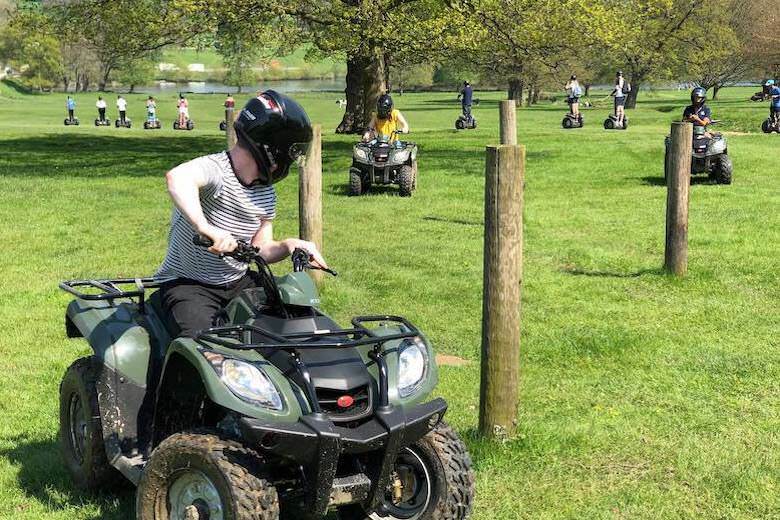 Our upgrade package offers you 45 minutes of adventure, giving you even more time to test out your quad biking skills and take in even more of what the Ripley Castle Estate has to offer, including our quad bike obstacles and exciting water splash. "This is a must do for anyone, excellent scenery, great instructors & just a great experience!!" What CC and How fast do the quad bikes go? Our quad bikes are each 150cc. The bikes are designed to go fast and there will be sections where you can test this but let's be honest that’s only too easy, navigating between and around our technical track is the real challenge. 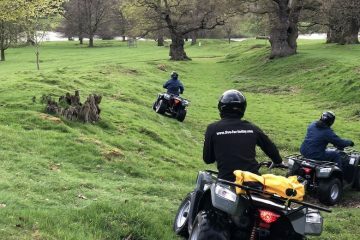 How many quad bikes will be out at any one time? Depending on the location you choose we can take up to 10 people out at any one time. 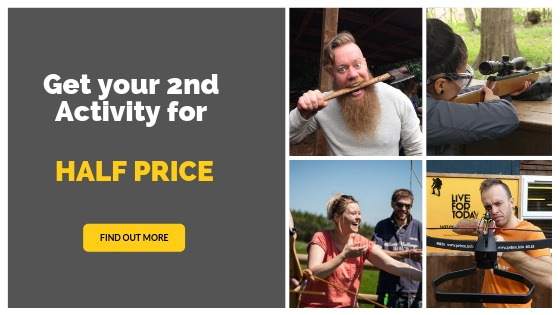 We recommend if you have a larger group to split in two and have a coffee break or take advantage of one of our other activities such as Axe Throwing or Archery. The minimum age to take part on our quad bike sessions is currently 16. Please feel free to bring your own helmet, your instructor will decide on the day whether it is suitable upon inspection. Please note that helmets will be rejected if they do not have a certified tested sticker. Yes, the current weight limit is 20 stone. If you have any questions please don't hesitate to ask. We will provide you with Overalls, Helmet and Gloves. You may want to bring some spare shoes though! Depending on if you book our standard 30 minute or upgraded 45 minute session, we would suggest to allow a full hour. This gives you time to check-in and get changed in preparation for the main event. Will there be other people on the session? You will always be together on the session unless you are a big group and we need to split you into smaller groups. If you are booking a smaller group then there may be others on the session but this won't affect the track and experience you receive. Do I need to have a driving licence to take part? 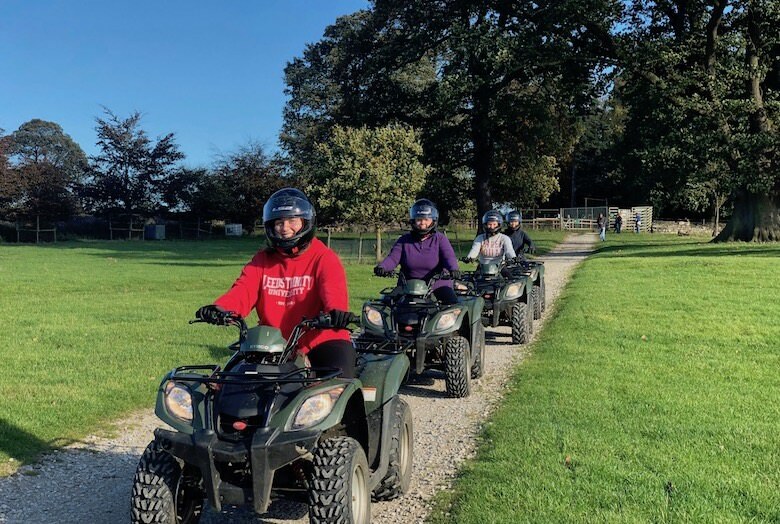 No, full instruction on how to safely ride the quad bikes will be provided by our qualified instructors. Can we have 2 people on the bike at once? Unfortunaltey we do not allow 2 people on the bike at any one time. This is a pure single rider experience. 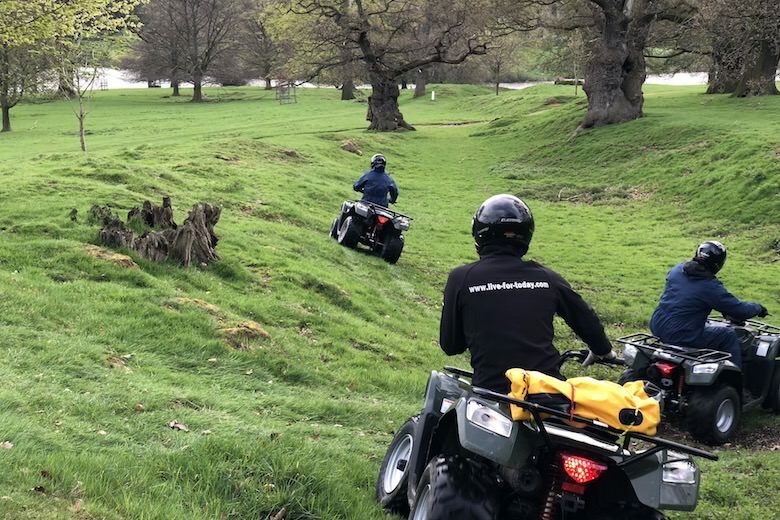 Our Quad Biking sessions are the absolute best, but don't just take our word for it. Watch why 'Made in Leeds' TV featured our Woodland course as one of their top things to do in the area.